PT. 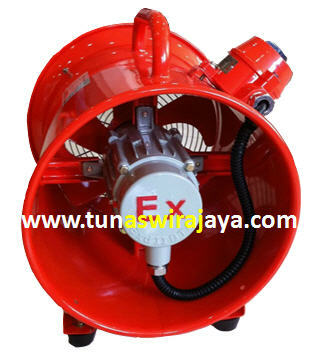 TUNAS WIRAJAYA, Explosion proof portable blower, blower explosion proof, Ex d explosion proof portable blower, explosion proof portable blower BTF-25, exploexplosion proof portable blower BTF-25, sion proof portable blower BTF-30, explosion proof portable blower BTF-45, explosion proof portable blower BTF-50, explosion proof portable blower BTF-60, distributor explosion proof portable blower di jakarta indonesia, explosion proof portable blower cilacap, explosion proof portable blower balongan, explosion proof portable blower plaju, explosion proof portable blower balikpapan, explosion proof portable blower samarinda, explosion proof portable blower palembang, explosion proof portable blower sangatta, explosion proof portable blower surabaya, explosion proof portable fan, Explosionproof, explosion, proof, gas, gasproof, distributor, agen, zone, zone1, zone2, class, class1, class1div1, class1div2, jakarta, indonesia, distributor, agen, jual, menjual, glodok, kenari, ltc, pabrik, murah, china, eropa, atex, iecex, certificate, helon, technor, italsmea, marechal, hrlm, fpfb, feipu, khj, tormin, warom, vyrtych, saluka, palazzoli, supemec, cooper crouse hinds, appleton, cortem, ul, nema, technor, marechal, italsmea, surabaya, semarang, palembang, balikpapan, kalimantan, tangerang, bekasi, exd, exe, Explosion proof portable blower, blower explosion proof, Ex d explosion proof portable blower, explosion proof portable blower BTF-25, exploexplosion proof portable blower BTF-25, sion proof portable blower BTF-30, explosion proof portable blower BTF-45, explosion proof portable blower BTF-50, explosion proof portable blower BTF-60, distributor explosion proof portable blower di jakarta indonesia, explosion proof portable blower cilacap, explosion proof portable blower balongan, explosion proof portable blower plaju, explosion proof portable blower balikpapan, explosion proof portable blower samarinda, explosion proof portable blower palembang, explosion proof portable blower sangatta, explosion proof portable blower surabaya, explosion proof portable fan, Blower, portable, portableblower, fan, portablefan, axial, axialfan, kipas, angin, kipasangin, shenli, knex, 12inch, 14inch, 16inch, 18inch, 20inch, 24inch, 12”, 14”, 16”, 18”, 20”, 24”, motor, explosionproof motor, ventilator, ventilator fan, ventilator blower, BTF25, BTF30, BTF40, BTF45, BTF50, BTF60, BTF70, BTF80, FAG300, FAG400, FAG500, distributor portable blower explosion proof di Indonesia, distributor explosion proof portable blower indonesia, distributor explosion proof fan ventilator indonesia, portable blower explosion proof zone 1, pertamina, kimia, pabrik, baldor, distributor shenli blower indonesia. Explosionproof, explosion, proof, gas, gasproof, distributor, agen, zone, zone1, zone2, class, class1, class1div1, class1div2, jakarta, indonesia, distributor, agen, jual, menjual, glodok, kenari, ltc, pabrik, murah, china, eropa, atex, iecex, certificate, helon, technor, italsmea, marechal, hrlm, fpfb, feipu, khj, tormin, warom, vyrtych, saluka, palazzoli, supemec, cooper crouse hinds, appleton, cortem, ul, nema, technor, marechal, italsmea, surabaya, semarang, palembang, balikpapan, kalimantan, tangerang, bekasi, exd, exe, Explosion proof portable blower, blower explosion proof, Ex d explosion proof portable blower, explosion proof portable blower BTF-25, exploexplosion proof portable blower BTF-25, sion proof portable blower BTF-30, explosion proof portable blower BTF-45, explosion proof portable blower BTF-50, explosion proof portable blower BTF-60, distributor explosion proof portable blower di jakarta indonesia, explosion proof portable blower cilacap, explosion proof portable blower balongan, explosion proof portable blower plaju, explosion proof portable blower balikpapan, explosion proof portable blower samarinda, explosion proof portable blower palembang, explosion proof portable blower sangatta, explosion proof portable blower surabaya, explosion proof portable fan, Blower, portable, portableblower, fan, portablefan, axial, axialfan, kipas, angin, kipasangin, shenli, knex, 12inch, 14inch, 16inch, 18inch, 20inch, 24inch, 12”, 14”, 16”, 18”, 20”, 24”, motor, explosionproof motor, ventilator, ventilator fan, ventilator blower, BTF25, BTF30, BTF40, BTF45, BTF50, BTF60, BTF70, BTF80, FAG300, FAG400, FAG500, distributor portable blower explosion proof di Indonesia, distributor explosion proof portable blower indonesia, distributor explosion proof fan ventilator indonesia, portable blower explosion proof zone 1, pertamina, kimia, pabrik, baldor, distributor shenli blower indonesia. Explosionproof, explosion, proof, gas, gasproof, distributor, agen, zone, zone1, zone2, class, class1, class1div1, class1div2, jakarta, indonesia, distributor, agen, jual, menjual, glodok, kenari, ltc, pabrik, murah, china, eropa, atex, iecex, certificate, helon, technor, italsmea, marechal, hrlm, fpfb, feipu, khj, tormin, warom, vyrtych, saluka, palazzoli, supemec, cooper crouse hinds, appleton, cortem, ul, nema, technor, marechal, italsmea, surabaya, semarang, palembang, balikpapan, kalimantan, tangerang, bekasi, exd, exe, Explosion proof portable blower, blower explosion proof, Ex d explosion proof portable blower, explosion proof portable blower BTF-25, exploexplosion proof portable blower BTF-25, sion proof portable blower BTF-30, explosion proof portable blower BTF-45, explosion proof portable blower BTF-50, explosion proof portable blower BTF-60, distributor explosion proof portable blower di jakarta indonesia, explosion proof portable blower cilacap, explosion proof portable blower balongan, explosion proof portable blower plaju, explosion proof portable blower balikpapan, explosion proof portable blower samarinda, explosion proof portable blower palembang, explosion proof portable blower sangatta, explosion proof portable blower surabaya, explosion proof portable fan, Blower, portable, portableblower, fan, portablefan, axial, axialfan, kipas, angin, kipasangin, shenli, knex, 12inch, 14inch, 16inch, 18inch, 20inch, 24inch, 12”, 14”, 16”, 18”, 20”, 24”, motor, explosionproof motor, ventilator, ventilator fan, ventilator blower, BTF25, BTF30, BTF40, BTF45, BTF50, BTF60, BTF70, BTF80, FAG300, FAG400, FAG500, distributor portable blower explosion proof di Indonesia, distributor explosion proof portable blower indonesia, distributor explosion proof fan ventilator indonesia, portable blower explosion proof zone 1, pertamina, kimia, pabrik, baldor, distributor shenli blower indonesia. Explosionproof, explosion, proof, gas, gasproof, distributor, agen, zone, zone1, zone2, class, class1, class1div1, class1div2, jakarta, indonesia, distributor, agen, jual, menjual, glodok, kenari, ltc, pabrik, murah, china, eropa, atex, iecex, certificate, helon, technor, italsmea, marechal, hrlm, fpfb, feipu, khj, tormin, warom, vyrtych, saluka, palazzoli, supemec, cooper crouse hinds, appleton, cortem, ul, nema, technor, marechal, italsmea, surabaya, semarang, palembang, balikpapan, kalimantan, tangerang, bekasi, exd, exe, Explosion proof portable blower, blower explosion proof, Ex d explosion proof portable blower, explosion proof portable blower BTF-25, exploexplosion proof portable blower BTF-25, sion proof portable blower BTF-30, explosion proof portable blower BTF-45, explosion proof portable blower BTF-50, explosion proof portable blower BTF-60, distributor explosion proof portable blower di jakarta indonesia, explosion proof portable blower cilacap, explosion proof portable blower balongan, explosion proof portable blower plaju, explosion proof portable blower balikpapan, explosion proof portable blower samarinda, explosion proof portable blower palembang, explosion proof portable blower sangatta, explosion proof portable blower surabaya, explosion proof portable fan, Blower, portable, portableblower, fan, portablefan, axial, axialfan, kipas, angin, kipasangin, shenli, knex, 12inch, 14inch, 16inch, 18inch, 20inch, 24inch, 12”, 14”, 16”, 18”, 20”, 24”, motor, explosionproof motor, ventilator, ventilator fan, ventilator blower, BTF25, BTF30, BTF40, BTF45, BTF50, BTF60, BTF70, BTF80, FAG300, FAG400, FAG500, distributor portable blower explosion proof di Indonesia, distributor explosion proof portable blower indonesia, distributor explosion proof fan ventilator indonesia, portable blower explosion proof zone 1, pertamina, kimia, pabrik, baldor, distributor shenli blower indonesia. Explosionproof, explosion, proof, gas, gasproof, distributor, agen, zone, zone1, zone2, class, class1, class1div1, class1div2, jakarta, indonesia, distributor, agen, jual, menjual, glodok, kenari, ltc, pabrik, murah, china, eropa, atex, iecex, certificate, helon, technor, italsmea, marechal, hrlm, fpfb, feipu, khj, tormin, warom, vyrtych, saluka, palazzoli, supemec, cooper crouse hinds, appleton, cortem, ul, nema, technor, marechal, italsmea, surabaya, semarang, palembang, balikpapan, kalimantan, tangerang, bekasi, exd, exe, Explosion proof portable blower, blower explosion proof, Ex d explosion proof portable blower, explosion proof portable blower BTF-25, exploexplosion proof portable blower BTF-25, sion proof portable blower BTF-30, explosion proof portable blower BTF-45, explosion proof portable blower BTF-50, explosion proof portable blower BTF-60, distributor explosion proof portable blower di jakarta indonesia, explosion proof portable blower cilacap, explosion proof portable blower balongan, explosion proof portable blower plaju, explosion proof portable blower balikpapan, explosion proof portable blower samarinda, explosion proof portable blower palembang, explosion proof portable blower sangatta, explosion proof portable blower surabaya, explosion proof portable fan, Blower, portable, portableblower, fan, portablefan, axial, axialfan, kipas, angin, kipasangin, shenli, knex, 12inch, 14inch, 16inch, 18inch, 20inch, 24inch, 12”, 14”, 16”, 18”, 20”, 24”, motor, explosionproof motor, ventilator, ventilator fan, ventilator blower, BTF25, BTF30, BTF40, BTF45, BTF50, BTF60, BTF70, BTF80, FAG300, FAG400, FAG500, distributor portable blower explosion proof di Indonesia, distributor explosion proof portable blower indonesia, distributor explosion proof fan ventilator indonesia, portable blower explosion proof zone 1, pertamina, kimia, pabrik, baldor, distributor shenli blower indonesia. 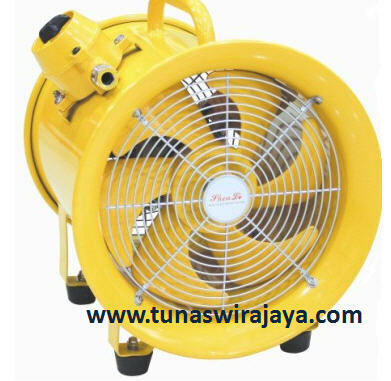 Blower, portable, portableblower, fan, portablefan, axial, axialfan, kipas, angin, kipasangin, shenli, knex, 12inch, 14inch, 16inch, 18inch, 20inch, 24inch, 12”, 14”, 16”, 18”, 20”, 24”, motor, explosionproof motor, ventilator, ventilator fan, ventilator blower, BTF25, BTF30, BTF40, BTF45, BTF50, BTF60, BTF70, BTF80, FAG300, FAG400, FAG500, distributor portable blower explosion proof di Indonesia, distributor explosion proof portable blower indonesia, distributor explosion proof fan ventilator indonesia, portable blower explosion proof zone 1, pertamina, kimia, pabrik, baldor, distributor shenli blower indonesia.